We provide ant control service all over Bangladesh Ants are a type of common pests available in our surroundings. They live by making colonies. So they are found in large numbers nearby us. Normally it is very hard to commit çompletly them from our household. But we possess expertise on it. We have a licensed team of expert who can deal with them and give you a quality ant control service. We are well trained in ant control service. We know how to omit them and make your area clean. We are green enough. We deal with pests in a natural way. We use a variety of innovative ways to deal with them ant control service Dhaka. Ants a kind of insect that can adapt to any kind of atmosphere anytime. So they are amongst the ancient species of the world. That is the reason we have to use a different form of insecticides or chemical to destroy the whole colony of ants. We never use same technique repeatedly every time so they cannot adapt to it. We keep a keen eye that we do not repeat the technique or the medicine every time. The frequency of each this service should be at least twice a year. Are you maintaining the frequency of your service? Or ever your service provider told you this to maintain? We demand to be the most expert and sincere ant control service provider amongst the ant control service, Dhaka, BD. If you search on the internet giving the term “ ant control near me” then you will find us at the top. There are some common types of ants in the environment of Bangladesh. They are Carpenter Ants, Black House Ants, Red Ants, Imported Fire Ants, Argentine Ants etc. At the beginning of the cleaning process, we will do a radical scrutiny of the ants to discovering of which group they are from. Then after we decided how to treat them. We locate the nest having the queen in it. We ensure the omission of the full colony with our service. 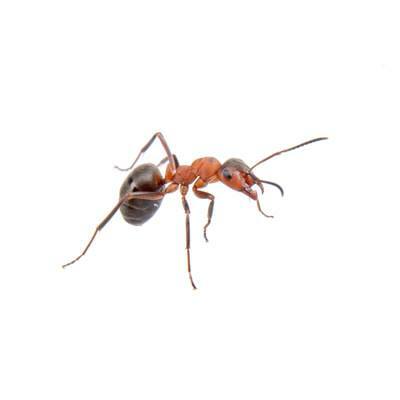 Our bug hunters and technicians do the method fixing process of ant control service here. Afterwards, we give our service. That is why we are the best in ant controlling service provider in Bangladesh. In ant control Bangladesh service we demand to be the best. Ants are some insects or type of pests that are a common and hazardous problem in Dhaka, Bd during the summer season. But it can also appear any part of the year. We believe our self to be the most effective in ant control service in Bangladesh. We are very well aware of the climate and pests of Bangladesh. So we can fight them well. We guarantee your satisfaction by 100%. We offer low price, effective service, helpful advice, full-year service, package service, expert service and much other assistance to fulfill your need. We believe to be the best choice in ant control service Dhaka, Bd. So do not hesitate just move the cursor, press the click button and make your right choice by hiring us to the service. We do google adwords marketing, facebook marketing, youtube advertisement for a reputed it service firm in Bangladesh for ant control service.